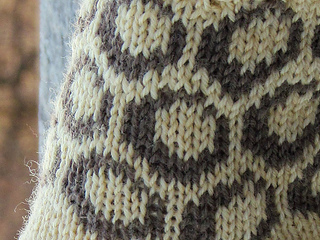 The change of light during the spring was the inspiration for these ankle socks. Wear them in a pair of sneakers or heels for increased elegance. 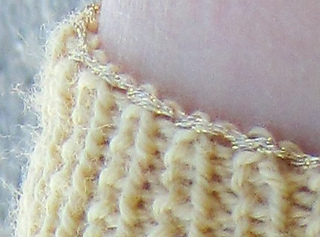 A simple stranded pattern on the leg together with a gold cast on thread for an extra sparkling effect makes them stand out. 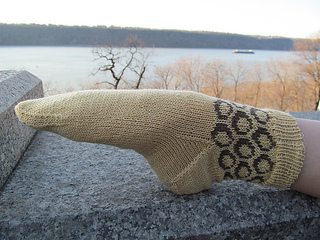 The socks are knit top down, with a round heel and a wedge toe – can’t be much simpler and yet stylish! Instructions are given for women’s small, medium and large – sizes are easily adjustable.